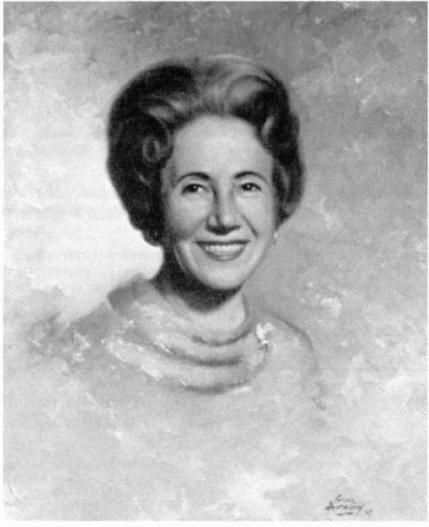 Dr. Ethel Barnhart was born in La Crosse, Wisconsin. She soon moved to Great Falls, Montana and eventually attended college at the University of Montana in Missoula, continuing her studies at the University of Minnesota. Her major was mathematics. In 1924 she moved to Los Angeles and became the executive secretary for Attorney H.L. Carnahan, the former Lt. Governor of California. Ethel was married to Dr. H. M. Barnhart in 1928 and resided in Los Angeles until 1938 when the family moved to San Marino. Ethel began her study of New Thought, and her dream of The Santa Anita Church, at the Institute of Religious Science in Los Angeles. She was privileged to learn and to work under the tutelage of Dr. Ernest Holmes. After a thorough training period under Dr. Holmes and Dr. Carmelita Trowbridge, Ethel Barnhart became director of children and youth in the Alhambra Church of Religious Science under Dr. Trowbridge. On April 14, 1946, Ethel Barnhart was ordained by Dr. Holmes and appointed associate minister of the Alhambra Church. Her work continued to expand, and at the suggestion of Dr. Holmes and in response to her own inner urging, she gave her first service on November 2, 1947. 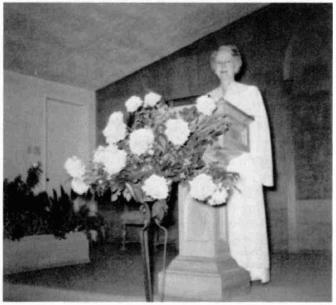 On May 1, 1948, a charter to The Santa Anita Church of Religious Science was granted by the Los Angeles headquarters, and Ethel Barnhart was recognized as founder and minister of the new church. On June 8, 1958, Ethel Barnhart received her Doctor of Religious Science degree from Dr. Holmes. She continued her ministry until her passing on July 3, 1967. Today her vision and dedication to children lives on through the continuing ministry of The Santa Anita Church and The Barnhart School, which was renamed in her honor shortly after her passing.